Scottish synth pop outfit Chvrches recently stopped by the Late Show with David Letterman in support of their excellent 2013 effort The Bones of What You Believe. Performing "We Sink," the group's plucky synths and brash drum beats sounded excellent, as did frontwoman Lauren Mayberry's vocals. All three members kept the energy high, making for a great performance. Then David Letterman says the word "Scottish" in a gross fake accent. 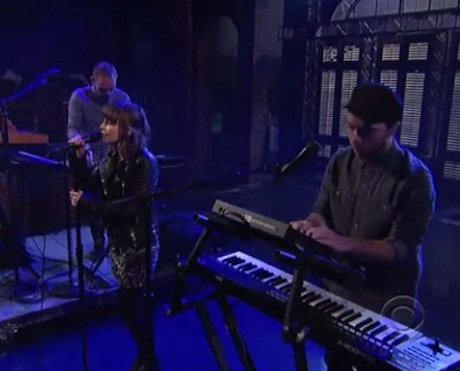 Watch Chvrches live on Letterman below.